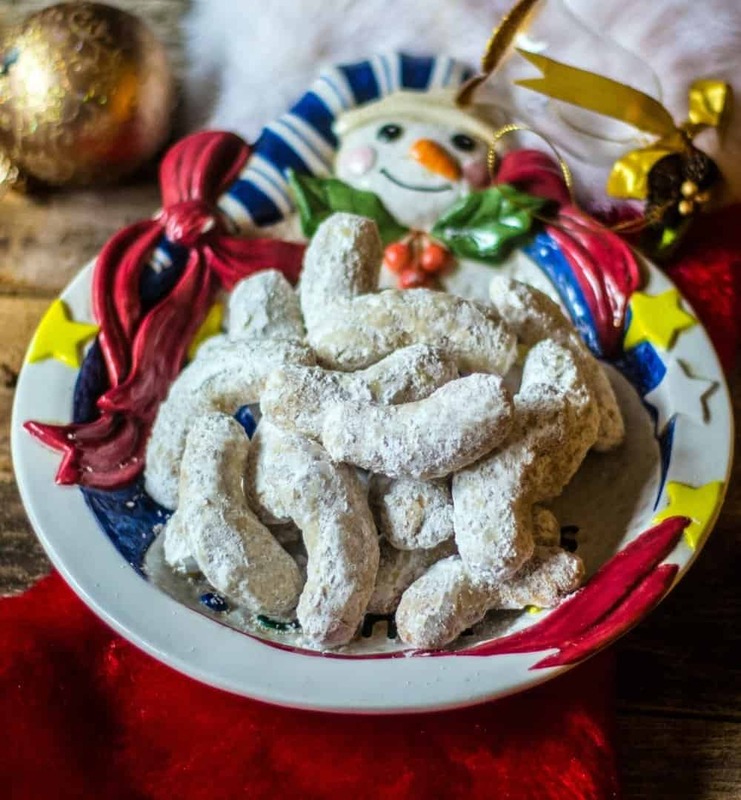 Pecan Crescent Cookies are a perfect addition to any Holiday Cookie Celebration! These are melt in your mouth, easy to prepare and always a hit with family and friends. Perfect for any Christmas Cookie Exchange! We love these cookies year round too! Today, I am sharing The Best Pecan Crescent Cookies! 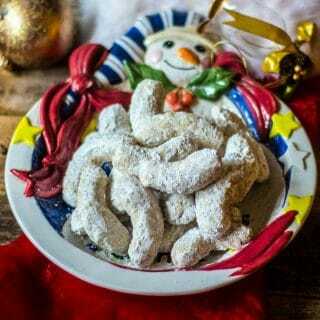 Pecan Crescents are one of my favorite Holiday cookies! I do love most Holiday cookies! These cookies are awesome because they can be made year round! Crescent Cookies are super easy to make and have an awesome nutty flavor! These cookies are just delicious! Pecan Crescent Cookies are always a hit with family and friends! Melt in your mouth, delicious Pecan filled Holiday cookies! A classic Christmas cookie. Add these tasty treats to your Holiday baking list! Preheat oven to 300 degrees. In a large bowl, cream the butter and confectioners sugar. Add in the vanilla extract and water. Mix in the flour and salt, blend well. Add in the finely ground pecans. Form the dough into 2-inch crescents and bake on an ungreased cookie sheet for 20 minutes. Cookies should be lightly brown when complete. Remove from oven and let cool about 5 minutes. Place cookies on the cooling wrap completely cool. Roll cookies in confectioners sugar. Keep cookies in a covered container. Be sure to finely ground the pecans in the food processor. You do not want large chunks of pecans in your cookies. These cookies can be frozen after step 2. 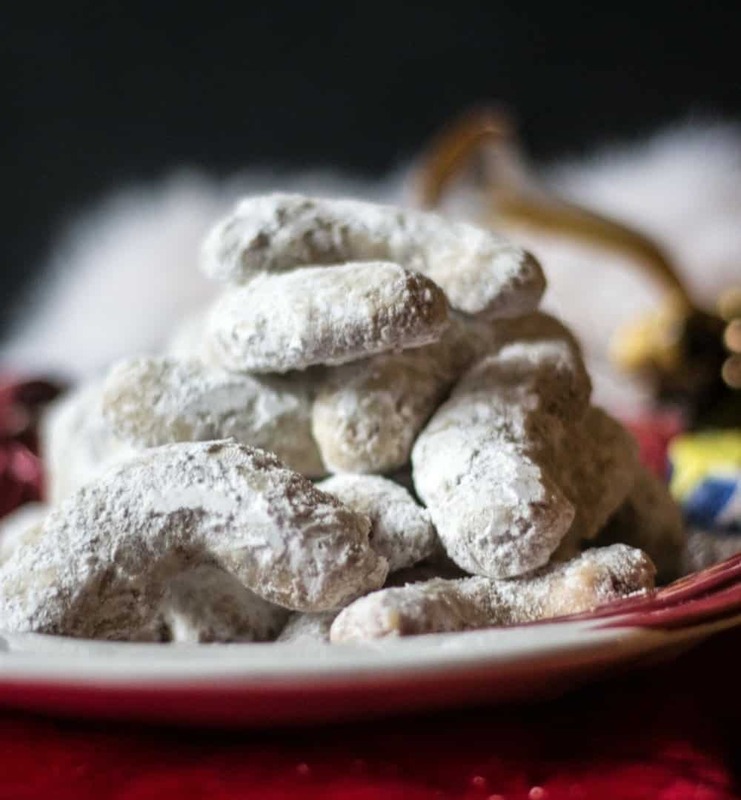 Once the cookies are defrosted, then roll in confectioners sugar to serve. MAKE THESE PECAN CRESCENTS, TAG #EVERDAYEILEEN ON INSTAGRAM WITH YOUR PICS! I LOVE TO SEE AND SHARE YOUR CREATIONS! LET ME KNOW WHAT YOU THINK OR ANY QUESTIONS ABOUT THE RECIPE IN THE COMMENT SECTION BELOW! I`m loving the recipes from my fellow food bloggers! Thank you to Ellen, she runs Family Around the Table. Ellen has done an amazing job organizing this fantastic event of delicious Holiday cookie recipes! Use the hashtag #ChristmasCookies to search all the amazing recipes! These yummy cookies are awesome. We made them at Christmas but they are too good to not make all year.Thank you for the easy recipe. So happy you are enjoying the recipe Kate. Thank you for your kind comment. These look delicious and I LOVE your little dish!! I am so happy you love the cookie.. I know the plate has been around for years. These look so tasty! And I love recipes that freeze well in the prep stages – makes entertaining just a little bit easier.